Poverty, misery, and exclusion are concepts that do not identify one unique situation but take on different connotations in every context, in every era, and for every person. There are some instances in which suffering is due to age or illness, others to the temporary lack of income, to hardships caused by calamities, and to lack of instruction. In some situations of poverty, it is possible to redeemed oneself – by acquiring professional formation, for example, or obtaining credit for starting one’s own business – and other situations, instead, that can be eased but never completely overcome – a permanent disability, a chronic illness, or an insufficient pension. Temporary poverty and structural poverty should be faced in different ways, with interventions that are different and adequate for each situation. That is why we have undertaken a process in the last few years of defining and specializing the businesses. In particular, this is done always more frequently where the profits of the EOC businesses are committed towards investing on the future of those helped, in order to face those situations of hardship from which it is possible to get out. The goal is to create, where possible, new productive jobs in the EOC businesses and to sustain the launch of micro-businesses. With outside help, one would be able to redeem himself with his own work. In other cases, the help is an investment in instruction and in the professional formation of youth. Support is offered to complete basic studies, either university or professional, in such a way as to have the best possibilities to get into the working world therefore to a better future. This investment is that which we feel we need to develop always more. But in helping those in need, one also deals with situations of “chronic poverty”, in which there is need to offer assistance to support basic needs: income support, medical assistance, housing improvements and maintenance. 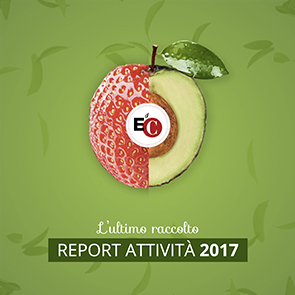 This type of help is now predominately financed by the spontaneous communion of goods at the local level by members of the Focolare Movement, and only by means of subsidies with the help of the EOC businesses. The first area in which interventions are made with development projects is that of work In most cases, when the EOC offers help to start up new businesses or consolidate those which already exist, part of the help is free and the other part is given as a loan. With this goal, a local loan fund is made which gives microcredit and, therefore, is maintained by the progressive return of funds. The financed activities are always characterized by the creation of new jobs for the needy, previously needing long-term help, and who are now able to earn the necessary with their own work. Two young veterinary technicians and an expert administrative director began a chicken farm with the goal of selling natually raised quality chickens. The project aims at carrying out professional formation courses and at giving work to other youth in the next few years. In order to respond to the dramatic situation of minors who are abandoned or taken from their families by social services, a couple adopted seven babies with serious health problems. With the EOC´s contribution, they are starting a small “fast food” restaurant, selling homemade goods, which will allow them to increase their family income and be able to sustain the children´s medical treatment. IThe EOC contribution will help consolidate a small artisan bakery managed by a mother, who until now sold her products in factories and businesses, transporting the goods by bicycle. With the acquisition of an automobile for deliveries and the hiring of a second person as a cook, the small business will be able to give stable income to two families. The EOC aid is aimed at relaunching the activity of a small agricultural excavation business, which was forced to interupt it´s activity because of an intense season of rain. It was possible to repair the excavator used by the family as a source of income, also allowing one of the children to go back to school after having interupting her studies to help out with family needs. Thanks to a small loan it will be possible to substitute the old car with which the father of a family carries out his work as a sales representative, allowing him business to remain active. For a number of years, a group of families have organized their free time to make pizzas and deliver them to people´s home. Their aim is to fund activities which offer formation to the “culture of giving”. Starting this year, with the help of the EOC, the voluntary business will become a real, true small business, giving regular work to six people. The local EOC commission wrote: “D. and E. Are happy and thankful for the microcredit obtained, because with this activity they are able to earn the neccesary to support their families. This year, they were able to pay back the first installment of the loan and have set aside an equal sum to invest in expanding production. Even their son enthusiastically helps in the business; he has occasional work but sees mushroom cultuvation as a possibility of stable and profitable job. At the end of the year, they gave a certain amount of mushrooms as a gift for the poor and another part for the formational centers of the community". "We´re in our fourth year of business as an orchard and are expecting our first more significant harvest of plumes (nearly 30 tons). Thanks to the machines that we were able to buy with the microcredit, all 3.5 hectares of our land were well-cultivated. Our professional assistance is assured by the Regional Institute of Fruit Farming and an Italian entrepreneur. Every year, we receive a contribution from the state, and a few Serbian entrepreneurs cover the costs of treatments. In 2008, thanks to the second EOC loan, we were able to hire an unemployed person at full-time. Now, in order to assure good production, an irrigation system should be installed. The preparatory work has already been done, and we´re looking for funding". "In 2008, there was a rise in sock production. Thanks to the purchase of a new machine, financed by an EOC microcredit, we gained access to an announcement for supply to the Minister of Internal Affairs. Sales to our main client also grew throughout the year. This all made it possible to hire another person. The salaries of our workers are low, even if they are, on the average, in the top 40% of the average industry salaries in Croatia. In the last few months, we´ve felt a slump in sales. Plus, the state has anticipated the due-date on taxes, our suppliers want payment in advance, and our buyers want more time to pay their invoices. When we began production, all our machines were already more than 20 years old, so we need to substitute some of them now. Small businesses like ours are not able to go into debt, but we´re looking for backers". Education is a fundamental component for the growth of every person and every community. It´s a right that ought to be guaranteed, and the exclusion of people and classes of the population from its benefits cannot be allowed. Ensuring education from an early age is also an investment on the future of the young generations, on their possibility to live a dignified life and to fulfill their own aspirations. Often, the aid offered by the EOC in this area serves to help with school and university taxes, professional courses and the cost of school books, as well as transportation and housing for students who must live in university cities far away from their families. "I´m from an inland city in the state of Pará, where my parents live. Since last year, my brother and I have had to rent a room in a nearby city where we study, as the distance from our city makes it too far to commute everyday. With the apartment, we were able to begin our studies. Despite the fact that we attend a public university, the monthly expenses of living in another city were too high for our parents. I had the chance to participate in the EOC scholarship program, in order to reduce our expenses a little. In the meantime, my brother needed to undergo some costly medical exams, and we found ourselves in a delicate situation. The scholarship became the help that arrived “just in the right moment” because we didn´t have enough to pay our rent". "My parents are separated, and we´re three at home: my mom, me and my little brother. My mom had to begin studying again in order to not lose the years built up at her job and be able to obtain a good pension plan. At the same time, I had finished high school and was starting college. To not weigh too much on my mom, I have a small job as a manicurist and do sales of various products… I receive an EOC scholarship, which is a gift because it covers the costs of transportation and study materials. This aid was particularly precious during a certain period in the last year. The work I do can only be done on the weekends, and for a number of weeks I couldln´t work because of health problems and university commitments. With all of these unexpected events, it was only thanks to the scholarship that I was able to take all my classes without compromising our family budget. At that point, my heart was filled with gratitude... the aid has always been precious for me, but that month it had become essential". "At home, we´re 8 brothers and sisters, my mom, who is a housewife, and my stepfather who works as a bicycle repairman. Our economic situation is very difficult because all of our earnings are not enough to support our family. I work in a small store, but the earnings are little and aren´t enough to pay for more education. Plus, since I always studied in public schools, I didn´t have an adequate cultural foundation to try for a state university program, in which is very hard to get accepted. Thanks to the scholarship, I was able to prepare myself better for the exam, and I was accepted in the Liberal Arts Department". There are some situations of poverty from which, for various reasons, there is no way out. Here, we´re dealing with forms of “chronic” poverty, which nevertheless can be lightened. In the course of the 20th century, in many countries in the world, the state progressively took on the weight of this function by creating so-called “welfare” systems, in the healthcare, pensions and employment, etc. In the last few decades, nevertheless, the state is slowly renouncing the role of worrying about assisting its own citizens, delegating the job more and more to the private sector. One of the consequences of this evolution is the increase in costs for citizens. Therefore, families who do not have sufficient income to sustain a pension fund or health insurance are excluded from access to services. An unexpected illness or loss of a job risks being transformed into a chronic situation of indigence if there is not a community ready to offer support. "Other than a small apartment, we don´t own anything. We don´t have a car, and we don´t travel or go on vacation. We have old furniture, and we don´t do anything which costs money...we live modestly and spend only on the neccessary: rent, food and clothing. This is why we´re grateful to for the help we receive and conscious of the greatness of love that is among us all". M. and S. have 5 children, 4 of which still live with them. Because of a serious illness, S. had to retire. Two of their children, still young, have health problems and the help from the EOC serves to pay for specialized speech and physical therapy. They write us: “We can´t say that we don´t have bread, but this help makes life lighter. Despite our attention to every cent, it is only because of this help that our children are able to attend the needed speech therapy in our city. And this year we will also have to pay for one of them to stay in another city until he can attend a special school". A. is a widow and lives with two children who study. She has a chronic illness and always needs to take medicines. She doesn´t work. She writes, “One time I went to buy a medicine, but I saw that it was too expensive for me, so I decided not to take it. That afternoon, the help from the EOC arrived and I understood that I had to buy that medicine, in order to serve my family and community better”. “Thank you for this help, because without it, it would be very difficult for my family to do all it needs to do. Our biggest problem is health, which is also reflected in our economic situation. One of the children depends completely on our care, and requires that we spend a lot of time with him. We truly reach the end of every month with fatigue and the rising prices worry us, but also thanks to your help, a month passes by unexplainably lighter. We have taught our children the value of modesty and they don´t have very many needs. I hope one day that we will also be able to help someone”. I. and I. are both advanced in age and live off of the produce of their land. Last summer, a large fire broke out on the island where they live. It lasted a few days and burned their olive grove full of century-old trees. Now, they can no longer sell the oil that supported them and so, with the help of the EOC, we try to comfort their suffering. They do not have children and feel that we are their large family. “I live with my sick mother-in-law and two children. The biggest expenditure in my annual budget is the cost of heating during the winter. So this year I have been thinking for awhile. I was invited to spend a few days at a meeting of the Focolare community. My economic situation didn´t allow for it. We talked about this at home, and everyone encouraged me to go. When I arrived, I received the help from the EOC – exactly the sum neccesary for the wood. With this action begun by Chiara Lubich, I felt her motherly care and that of many others. Thanks to her and to others for the light that is burning in my life, and which I don´t ever want to go out”.